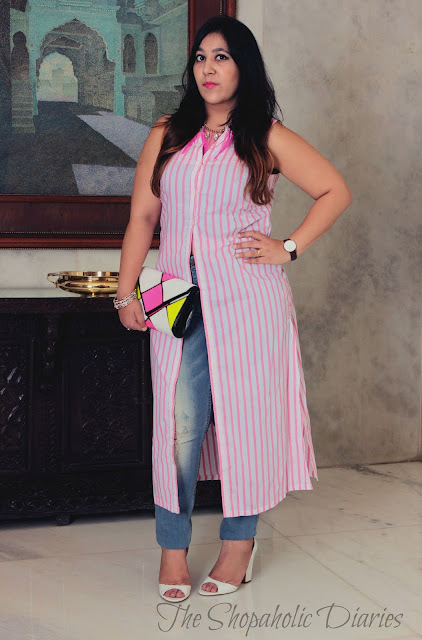 OOTD | Review - Sbuys.in - Online Shopping India | Buy Trendy Apparel Online in India | The Shopaholic Diaries - Indian Fashion, Shopping and Lifestyle Blog ! Hope you all had a lovely weekend. I had a rather busy week as I was attending the Amazon India Couture Week which was a rather amazing experience, as all the shows this season were really spectacular and marvelous. The coming week also we have another fashion week in town ie. BMW Bridal Fashion Week which would be covered on my social media pages. 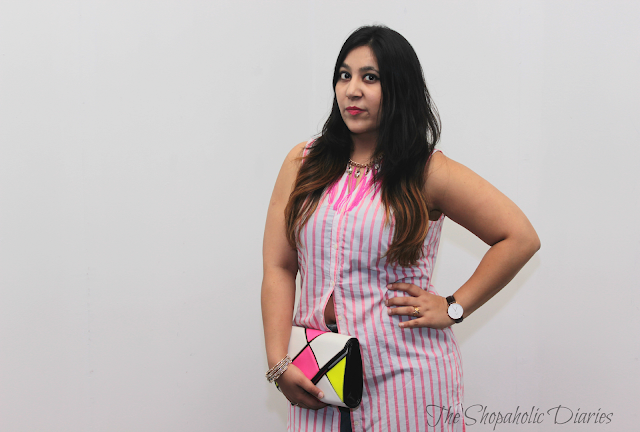 Coming to this outfit post, it is in collaboration with one of the new stylish online shopping websites - SBuys.in . "Sbuys.in is an exciting new web portal designed for online shoppers, which provides a platform for retail and purchase of the trendiest, latest in fashion womens' and kids' wear. A contemporary clothes brand, sbuys caters to the ever-evolving fashion sensibilities of women who choose innovative and quality dressing for themselves and their kids. " SBuys.in features a trendy and chic collection of dresses, tops and bottoms for women and young girls in latest styles and having affordable prices. While I was looking for some latest trendy pieces online like shirt dresses and tees, I came across some beautiful pieces at SBuys which not only looked comfortable but also were priced quite reasonably. 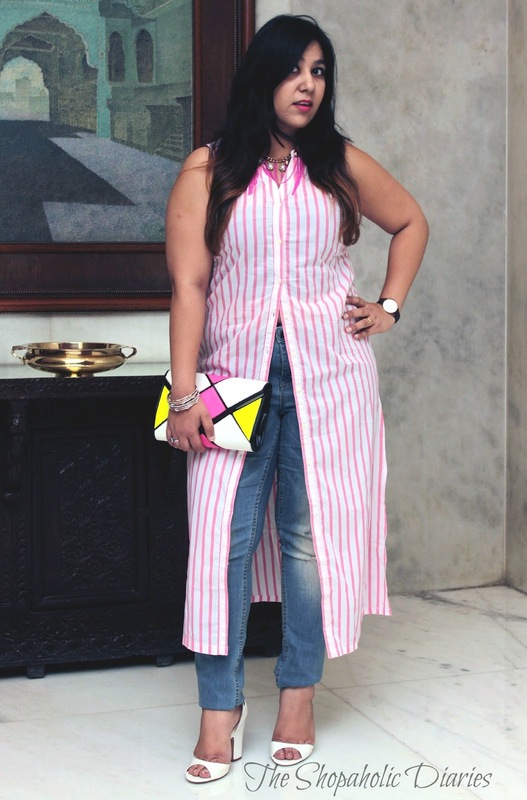 For the first look, I styled one of the hottest trends this season - a Shirt dress with side slits - with a pair of ripped jeans and white strappy peep-toe heels. 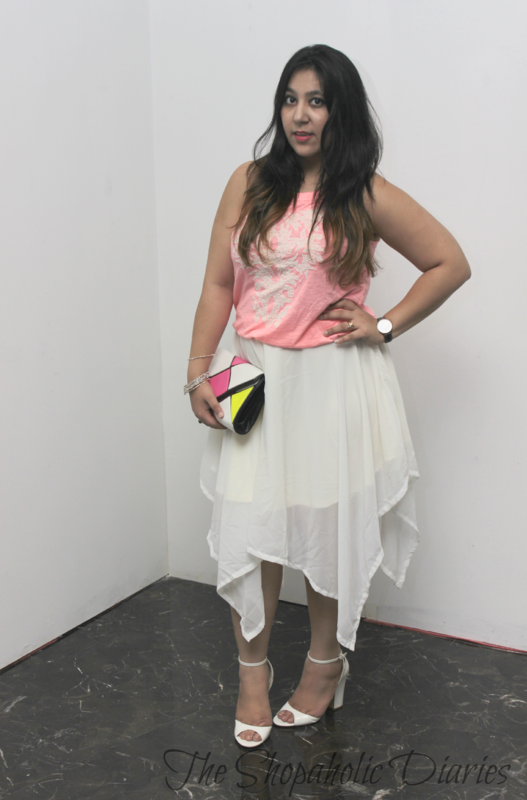 To add a pop of color to the outfit, I carried along a color-block clutch purse and accessorized with a tan Daniel Wellington watch and tassels necklace. 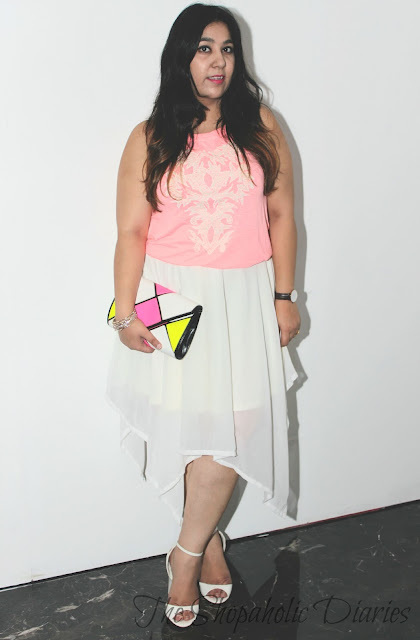 The second look features a beautiful asymmetric hemline skirt and a halter-neck pink top with embroidery that perfectly complimented the skirt. What's your favorite outfits of the two? Have you shopped from SBuys.in before? If not, then you must check out this one-stop website to shop for stylish and classy clothes for women and kids. You styled that shirt dress perfectly. It looks so fashion forward when worn with jeans...and the second outfit is so cute and girly! it must have been great being able to attend a couture week. You look amazing girl and I love your new layout. Looking amazing dear.. Love that pink top and white skirt. Great combination!! You look amazing and I love your new look.